Shoki Takahata has put his Mugen at the top of the time sheets in the 3rd round of controlled practice at the 1:10 200mm World Championships in Homestead, Florida. The Japanese driver posted the 2nd fastest time of the day over 3-consecutive laps to top the round from fellow countryman Naoto Matsukura by 7/100th of a second. Behind, Simon Kurzbuch made a big improvement to set the third quickest time ahead of Teemu Leino who also made a big step forward in terms of pace. 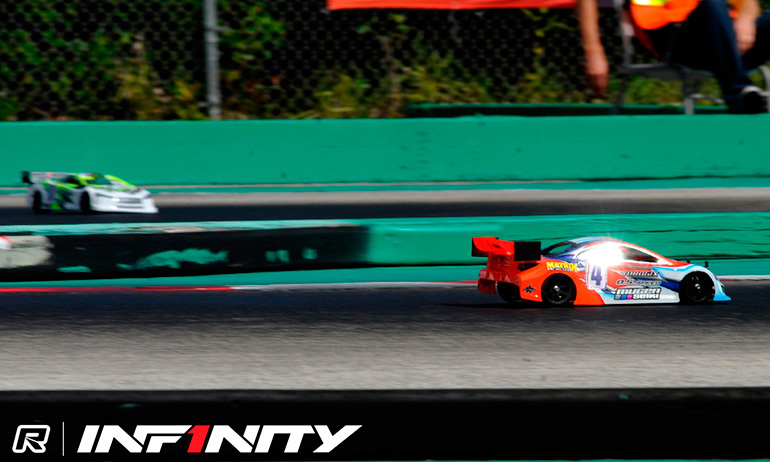 With his CP2 time still standing as the fastest of the day with one round of controlled practice remaining, Lamberto Collari would end the third round 17th fastest with a body change causing his Infinity to become unstable in the rear. It would also be a difficult round for reigning World Champion Dominic Greiner who was only marginally quicker in P15.